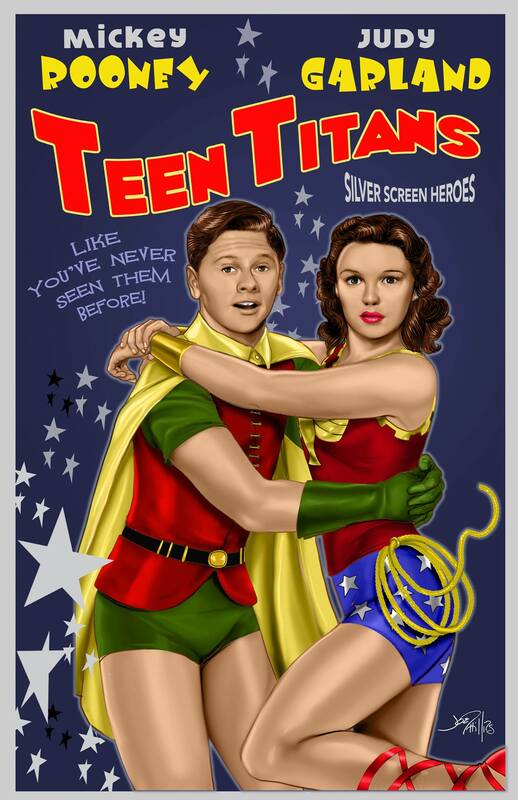 Silver Screen Heroes From the Golden Age of Hollywood! – Daddy Warpig's House of Geekery! Silver Screen Heroes From the Golden Age of Hollywood! The Golden Age of Hollywood featured a bevy of beautiful dames and dashing leading men. Joe Phillips imagines superhero films that never were and never could have been, straight from the Golden Age of Hollywood. Of course we have to begin with Marilyn Monroe. The iconic Blonde Bombshell is the ONLY choice for Power Girl. In their prime, Mickry Rooney and Judy Garland were among the biggest stars in Hollywood. If you cast a Teen Titans movie, it’d have to be them. 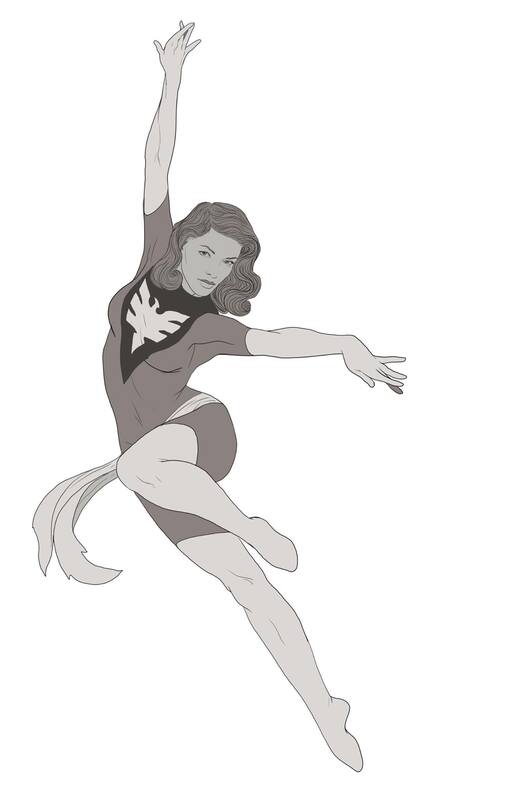 Lauren Bacall as Phoenix, from the X-Men. One of his few unfinished pieces, it is nonetheless evocative both of Bacall and the deadly X-Man. The gallery below contains several more pieces, both finished and unfinished. It’s a fascinating look at a silver screen Golden Age Hollywood that never was. Check out Phillips’ Facebook page At The Link! Posted on August 28, 2015 February 2, 2016 Author Daddy WarpigCategories Cosplay and Art!Tags Art!, Fanservice!, Supers!, TV and Movies! I love the one with Danny Kaye and Shirley McClaine. Previous Previous post: 10 Things You Didn’t Know About Back To The Future! Next Next post: Cain’t Sling Dat T’day, Sho ‘Nuff!